More than an address, it is a destination, a playground for the senses, a memory waiting to be made. See our Retail Locations page for restaurants and retailers near you. Our clay-loam-over-limestone, nutrient-rich soil produces wines that are consistently earthy, bright and indicative of our growing region. The rolling hills of Iowa County's Driftless Region create a stunning backdrop for our terrace. Visit our Events page for upcoming shows. The traditional four-square farmhouse has been carefully rehabilitated and though a private home, it stands as the vineyard’s welcoming matriarch beckoning visitors from around the world to enjoy our singular brand of Wisconsin hospitality. Plan a picnic on the hillside; our lawn is perfect for romping in the shade of centuries-old oak trees. A Madison, Wisconsin native, Peter Botham graduated from the University of Wisconsin in History and went on to the Maryland Institute of Art in Baltimore. Peter Botham has been growing and producing regionally distinctive wines of international acclaim since 1989. After working for several years as a commercial draftsman and artist, Peter threw off his coat and tie, so to speak, to pursue a career in viticulture. 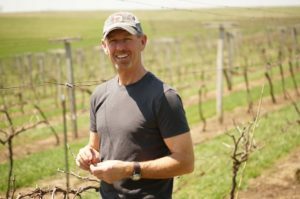 Success as a winegrower and winemaker in northern Maryland prompted Peter’s decision to return to Wisconsin to begin a vineyard and winery of his own. The first vines were planted in 1989 and an intensive effort to refurbish the farm, the barn and the house began. In 1992 the first crop was harvested and sold to another area winery. Our first small winery was finally completed in early 1993 and the grapes from that year’s harvest became the wine with which the tasting room was opened in the summer of 1994. 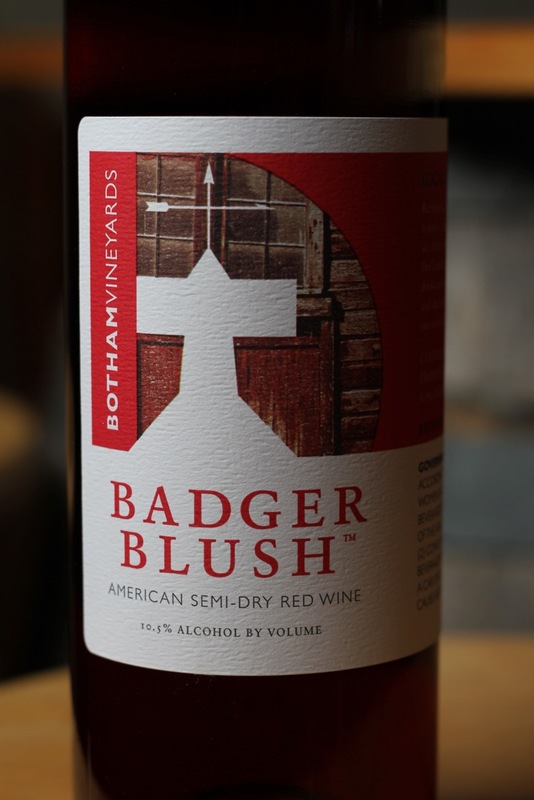 Botham Vineyards produced roughly 2500 gallons of wine to sell that first year. In contrast, our 2013 production was nearly 30,000 gallons. Peter’s vine-to-bottle approach to winemaking follows a less-is-more philosophy; less manipulation of the wines allows grape character to better exhibit itself. But good wine really begins in the vineyard. Each spring Peter takes on the pruning of our 8,000 vines (one-by-one) with the care and passion that only an artist in the midst of composition can. Sustainable growing practices and season-long assessment of and attention to the vines are key in the production of our wines. Carefully monitored oak aging, and minimal filtration and chemical alteration are also practices to which he strongly adheres. The result is beautifully crafted, fruit-forward wines of extraordinary character and balance that have earned more than 350 medals in national and international competitions over the past 20 years. In his spare time, Peter collects, tinkers on and races vintage sports cars and motorcycles. The vineyard has become a popular destination for vintage auto tours and motoring enthusiasts. Wine, art & Vintage race cars, of course. 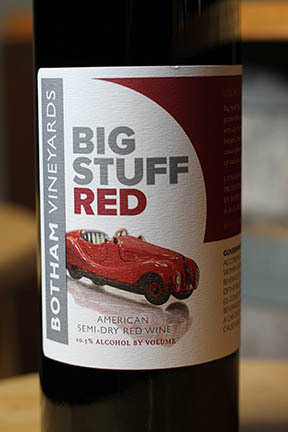 Each August, Botham Vineyards & Winery hosts the Vintage Celebration, a one-day event commemorating the beauty, nostalgia and fitness of vintage sports cars, touring sedans, race cars and of course, fine wine.